According to a fairly standard realist view of scientific explanation, a given set of phenomena is explained by postulating some unseen entity or causal process. The entity or process in question is not directly observable, but is explained by an analogy with something with which we are more familiar. Consider our conception of gas molecules. We postulate the activities of gas molecules by an appeal to commonly encountered spherical objects such as billiard balls. In same way billiard balls bounce, gas molecules are said to bounce. The analogy is necessary for the explanation because the gas molecules are not directly observable. A realist concludes from the performance of such an explanation (how well the explanation explains the phenomena in question) that gas molecules and the causal processes they are involved in are real. In natural theology, the student of various aspects of the universe and religious experience postulates a cause that is at least partially understandable or intelligible to the human intellect; is, strictly speak, beyond those data themselves and serves as the ground and explanation of those data... If the realist account of scientific explanation is accepted, then it becomes difficult to sustain a dichotomy between scientific methodology and theological methodology. This is an eminently good argument and implies that to accept one methodology entails the acceptance of the other. Of course, one might reject scientific realism or offer an alternative realist method, but if one accepts the kind of scientific realism described, one cannot claim that natural theology is unscientific. 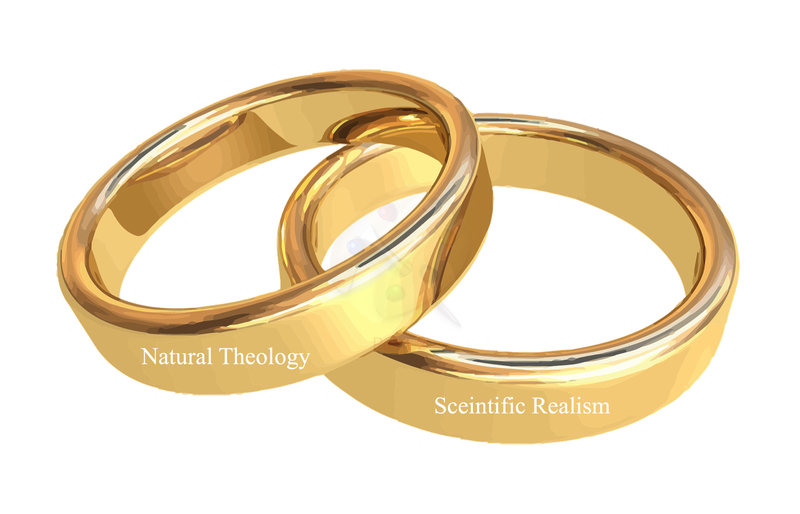 Indeed, if one accepts the kind of scientific realism described, one is automatically wedded to natural theology.